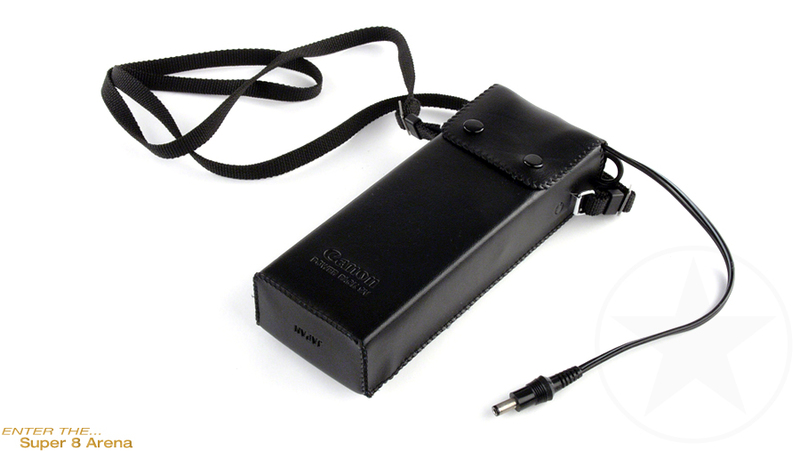 9V external powerpack. Compatible with sound Canon Super 8mm movie cameras such as the Canon 514 XL-S, 814 XL-S or 1014 XL-S. Fill it with 6 D batteries (standard or rechargeable) and start shooting. The powerpack itself is empty and contains no batteries. It's not necessary to recell it. D batteries last longer than regular AA batteries.